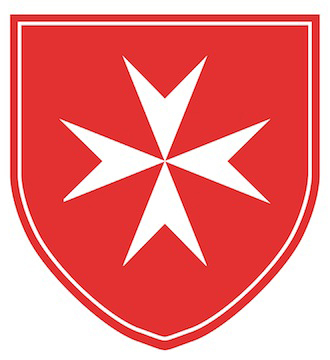 In February 2013 and during the entire year, the Sovereign Order of Malta celebrated a significant anniversary. Exactly 900 years have elapsed since Pope Paschal II promulgated the Solemn Privilege in 1113 that officially recognised the monastic community of the Hospitallers of St. John of Jerusalem. This document, identified with the initial words of its text, Pie Postulatio Voluntatis, set the legal base for the sovereignty and independence of the Order of St. John of Jerusalem, known today as the Sovereign Order of Malta, and was a fundamental element for its development. Founded in the Holy Land over half a century earlier as a monastic community looking after poor pilgrims in a hospital in Jerusalem, it is thanks to this solemn privilege that the Hospitallers of St. John became a lay and religious order. This document has also a great institutional significance; with the bull the Pope recognised that the Order had the absolute right to ensure the continuation of its work by electing, in due time, a successor to its founder, brother Gerard. With regards to its historic significance, the bull – today preserved in the National Library of the Republic of Malta – gives posterity an idea of the role and importance of Blessed Gerard, of his personal sanctity and of the group of professed religious who worked with him. It also highlights the importance of the services provided to pilgrims and the poor in Jerusalem. A list of hospitals and hospices existing in France and Italy some decades after its foundation proves how the institution established by brother Gerard was not limited to the Latin kingdom of Jerusalem, but had already branched out into Europe. Throughout 2013, the Sovereign Order of Malta’s institutions in the five continents celebrated this special anniversary with a series of initiatives. The most significant commemoration took place on 9 February 2013 in Rome when a Holy Mass was celebrated by Cardinal Secretary of State Tarcisio Bertone in St. Peter’s Basilica, after which Pope Benedict XVI addressed over 5,000 of the Order of Malta’s members and volunteers who came from all over the world to participate in this historic anniversary.